Oscar Fingall O'Flahertie Wills Wilde was born in Dublin in 1854. He was educated at Trinity College, Dublin and Magdalen College, Oxford where, a disciple of Pater, he founded an aesthetic cult. In 1884 he married Constance Lloyd, and his two sons were born in 1885 and 1886. His novel, The Picture of Dorian Gray (1891) , and social comedies Lady Windermere's Fan (1892) , A Woman of No Importance (1893) , An Ideal Husband (1895) , and The Importance of Being Earnest (1895) , established his reputation. 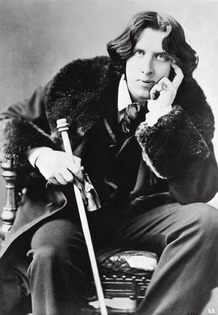 In 1895, following his libel action against the Marquess of Queesberry, Wilde was sentenced to two years' imprisonment for homosexual conduct, as a result of which he wrote The Ballad of Reading Gaol (1898) , and his confessional letter De Profundis (1905) . On his release from prison in 1897 he lived in obscurity in Europe, and died in Paris in 1900.